The type of visa required for an individual wishing to stay in the UK subject to eligibility on the basis that they have a family member or spouse who possess indefinite leave to remain in the UK is known as a ‘family of a settled person visa’ and are valid for 2 years and 6 months. A decision on your Visa application will take approximately 12 weeks, however time will differ, depending on which country you are making an application from, you can check here for more guidance on this. If you are already in the UK, you will not be able to apply for this particular visa you will need to apply to remain in the UK with a settled family member instead. 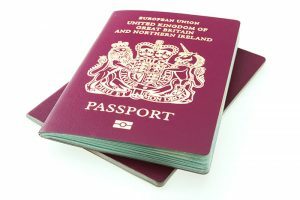 If you are a parent or partner of a person who is already in the UK who has humanitarian protection or asylum in the UK, you may be eligible for a family reunion visa, we at Vincent Solicitors can determine the best route in which to take to ensure a strong visa application. If you are engaged to your partner you must show that you are planning to marry or enter in to a civil partnership within 6 months of entering the UK, it is not possible for you to work whilst engaged to be married.